A look back at South Australian racing analyst Heath Pope's appearance on the Betting 360 Podcast. I’m what you probably would classify as old school. I specialise in just one area, even though my raw data figures are computer generated, I basically just use those as the base figure with the rest of my form analysis coming from what I actually see with my own two eyes as well as gut instinct, having got to know those horses I specialise in. I like to concentrate on an area which is less popular. In regards to Sydney and Melbourne where the markets are very efficient, I would rather concentrate a lot more on an area more where, I believe, I’ve got a much stronger edge. If there’s 14 horses in a race I’m watching the race 14 times. After a while you do tend to get to know them. Speed maps are one of the most important factors in analysing form. It all comes down to me doing the form manually, gut instincts, knowing the horses and also looking outside of the square, as well. A lot of times certain races might look to have absolutely no pace whatsoever, hence it looks too obvious and, some trainers and jockeys who might be behind that slow pace wanting to change things. You get a feel for it after a while and certain horses that can race on the pace … it’s hard to explain really. Some horses are very versatile, let’s just say that. If you’re going to let Horse A get away with murder up front then your chances of winning the race you are facing an uphill battle. Jockeys and trainers are going to try to do something about that and it only takes 2, 3 or 4 horses to have the same idea then suddenly your race has turned upside down, hasn’t it? Everything is not black and white, so to speak. With more and more information becoming available to the general public, I think it would be fair to say that most everyday punters would directly base their form on each individual horse. However, in the search of an extra edge I think jockey ratings especially, are becoming just as important. However, in regards to trainers I take a different approach, tending to look more at each individual horse’s win strike rates as a way of measuring how successful each trainer is with each of his horses. An example would be most people would blindly assess Tony McEvoy as SA’s best trainer. 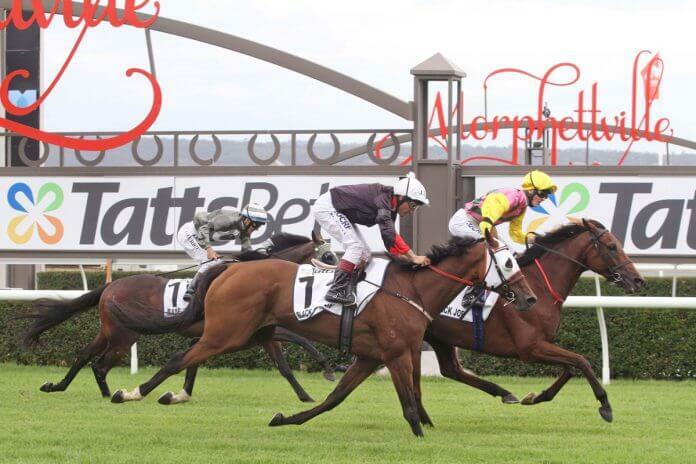 Doing my form manually, I’m probably sounding a bit boring here, so my markets and speed maps are done manually, so what works in Race A is not necessarily going to work in Race B, so would I have any hesitation in backing a horse from barrier 16 over 1000m at Morphettville? Absolutely not if I thought it could cross without exerting too much early pressure and vice versa, one could also argue in many races where horses in barrier 1 could have little to no chance according to some of my maps if I believe they will get back and boxed in so, again, unfortunately, it comes down to good old-fashioned, hard, work. However, I will say, I do believe overall, horses drawn out wide are very much underbet and can become much better betting propositions, than blindly following horses drawn inside. I must admit I don’t place great emphasis on weights and not as much as what some punters might. In saying that, it’s still an obvious form variable and I may do some tinkering if a certain horse’s weights may differ quite sharply from start to start. Hence, my horse might go from 54 up to 60 kilos or the other way. In my opinion, it’s a minor form variable. I still price up my markets however, it would probably be fair to say I do tread a lot more wearily, especially when the horses start heading to the outside fence. In saying that, this is where the jockey ratings can kick in a bit more with the smarter jocks giving their mounts a much better chances in regards to finding the fast lanes, etc. Still, treading wearily. I do tend to focus on the Saturday Metro races. You can find some good bets in the midweekers – mainly horses at the top end of the market – but they can still can be way overs. A lot of metro runners that have been running good races and finishing just behind the winner. Yeah, there’s opportunities to there mid-week. Level staking makes absolutely no sense. Investing the same amount of money on a runner priced at $3.00 compared to a runner at $10.00… If you were to do that all the time, it would be a quick way to the poor house I think. I use proportional staking. I change my bank at the end of each day. I stake my races with a certain confidence level. However, I do find going by my personal figures, my profit on turnover can be higher on the lower confidence races. This might sound funny but most of my higher-price winners tend to come in these races. These are normally races where I am potting the favourite or the second favourite. Even though I’ve got faith in my markets if there’s a real variance in price difference between my rated price and the markets, you do have to respect it and that’s where I will tend to not bet it as aggressively. Back to my previous example, if I have rated something evens and it’s $8 I might treat it as if I’d rated the horse $3 or $4.